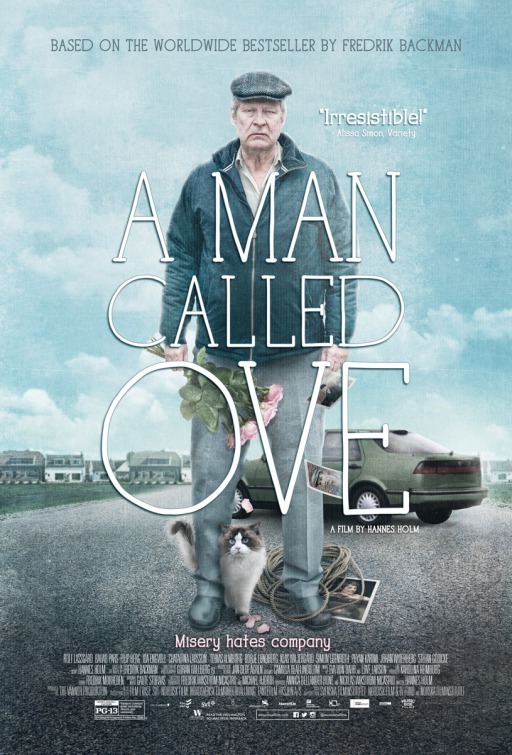 While watching the Swedish film A MAN CALLED OVE, it's not hard to envision the American remake. Just swap out Rolf Lassgård in the title role for Bill Murray, give the character a more American sounding name, and tweak a few minor cultural differences. You'd have a likely indie hit and Oscar contender on your hands. In the film by director Hannes Holm, Ove (Rolf Lassgård) is a crusty old curmudgeon who wants nothing more than to kill himself and join his recently departed wife. But he's not particularly good at suicide, and besides, he's too busy quarreling with his neighbors and outside bureaucrats (just about anyone who happens into his sphere, really) to die just yet. In particular, Ove is annoyed by the new family that has moved in next door: a pregnant Persian woman named Parvaneh (Bahar Pars), her husband, and two daughters. It's an agreeable enough film, but it leans far too heavily on familiar tropes and clichés. Everything you expect to happen does, and right when you expect it to. Perhaps the most cringeworthy moment is when Parvaneh goes into labor at the most contrived and dramatic moment possible. You'll see it coming a mile away, just as you'll know when every other dramatic twist and turn is on its way well before it arrives. I get that this is the sort of lightweight crowd pleaser that, for some, is the cinematic equivalent of comfort food. It falls very much into the same groove as other "curmudgeons transformed by a little love in their lives" movies like KOLYA, CENTRAL STATION, AS GOOD AS IT GETS and ST. VINCENT. And if you liked most of those films, chances are you might enjoy OVE, too. For me, though, it just feels too "by the numbers" to really connect on any meaningful emotional level. 2 ½ out of 4 stars.